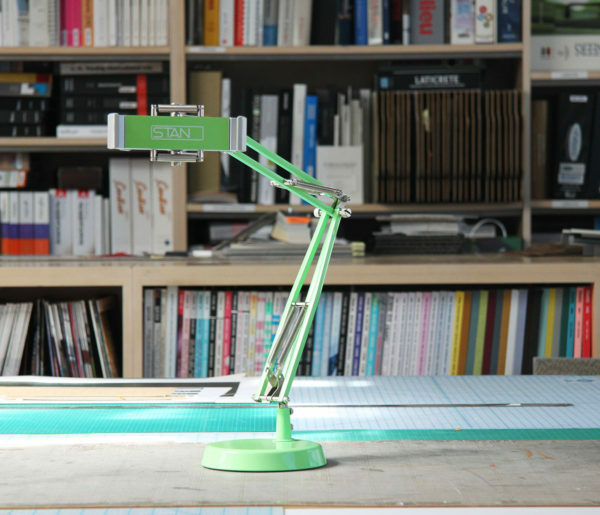 STAN is a device holder inspired by the classic desk lamp that allows you to put virtually** any smartphone, tablet, or eReader up where you want it while keeping your hands free. 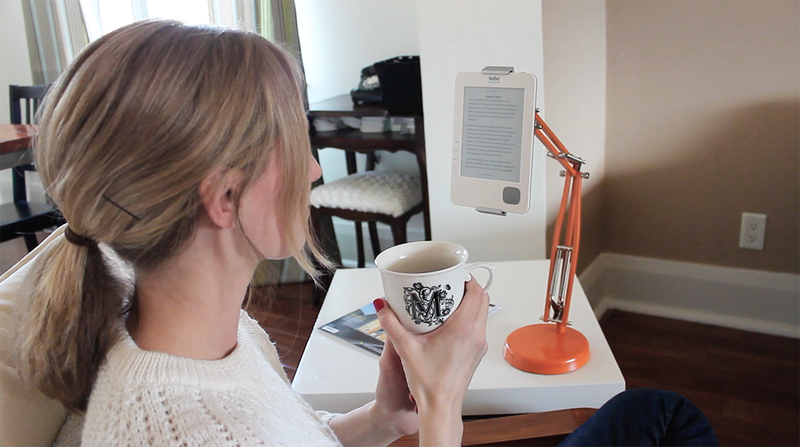 STAN is a device holder inspired by the classic desk lamp that allows you to hold virtually** any smartphone, tablet, or eReader securely up where you want it while keeping your hands free. 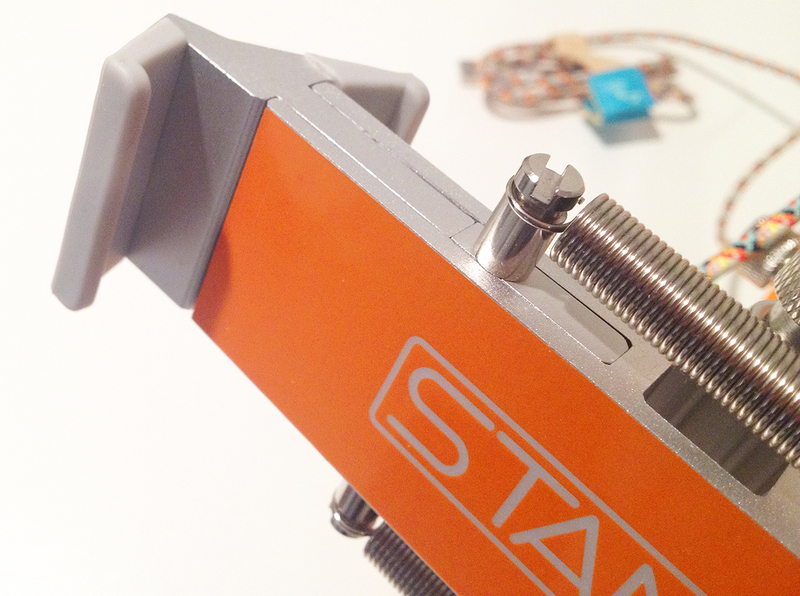 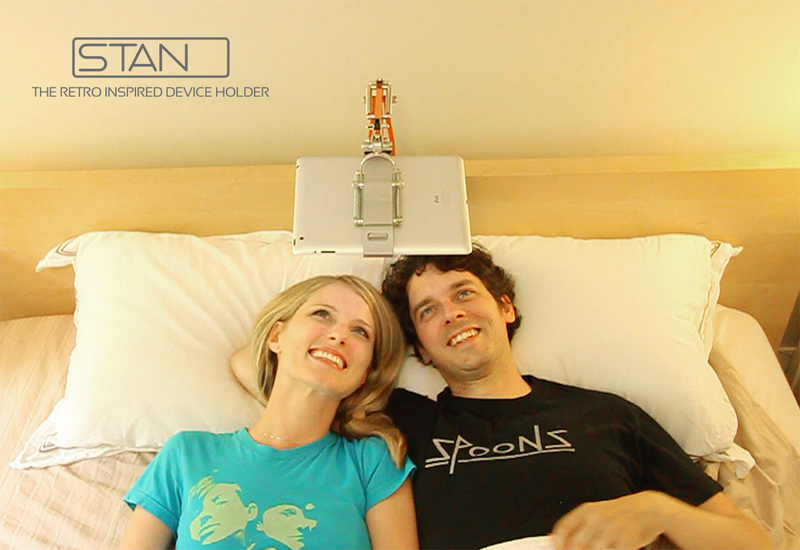 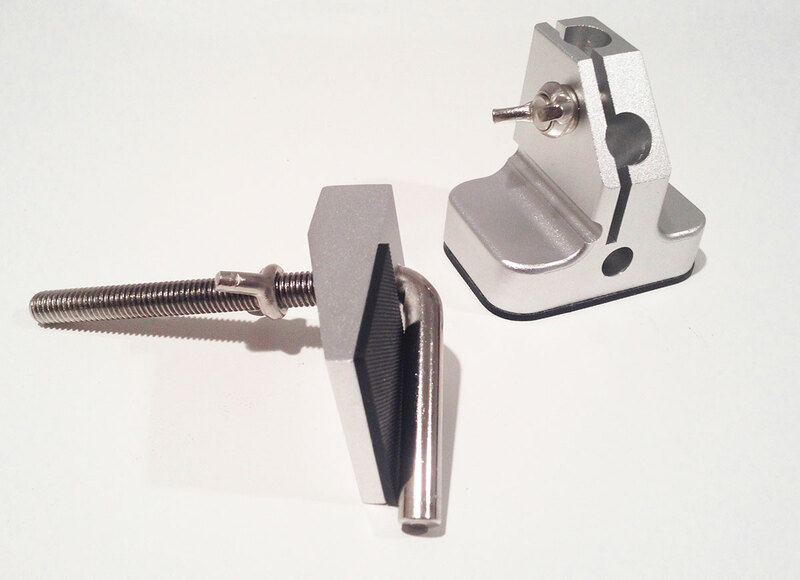 STAN is one of the only device holders on the market that will work with a small smart phone one minute, and a full sized tablet the next, holding both securely without needing to install magnets, tape, or rely on nano-suction pads which have been known to drop devices. 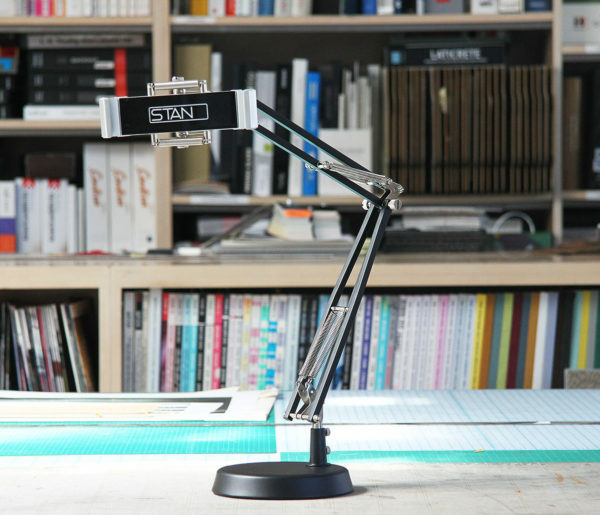 STAN will work with your current devices and ones you will own in the coming years making it quite possibly the last device holder you’ll ever need to buy. 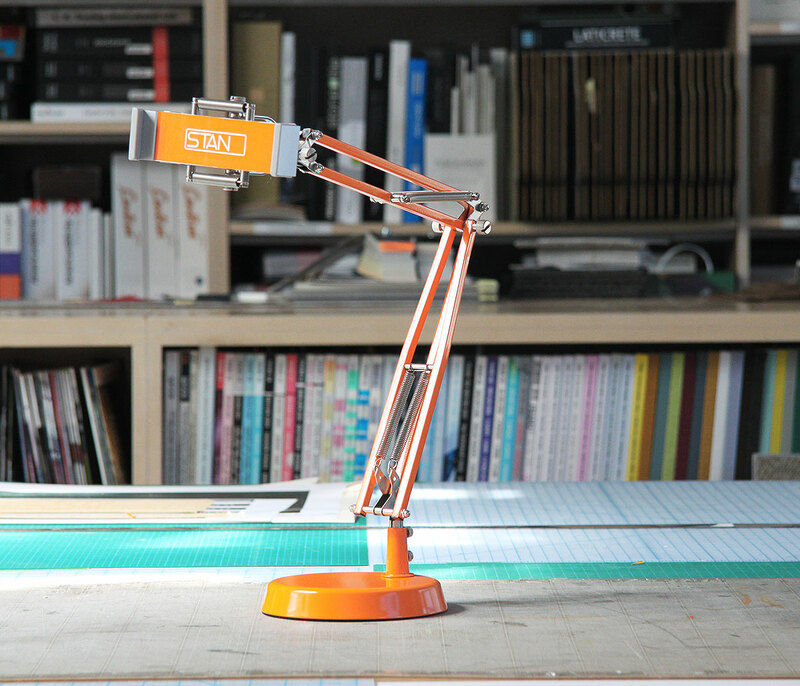 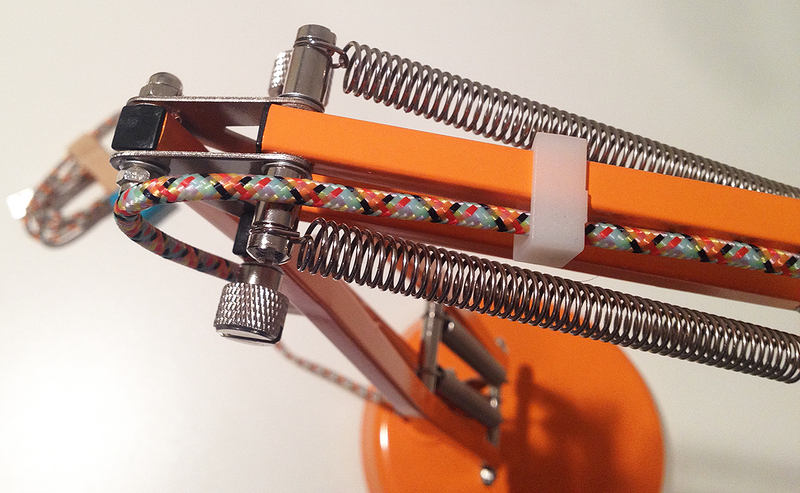 In Retro Orange and made from high-quality materials such as painted steel and anodized aluminum; each STAN comes with a weighted base for use on tables, desks, and counter top, and an aluminum clamp to attach the armature onto a bed’s headboard, or the edge of a desk or table. 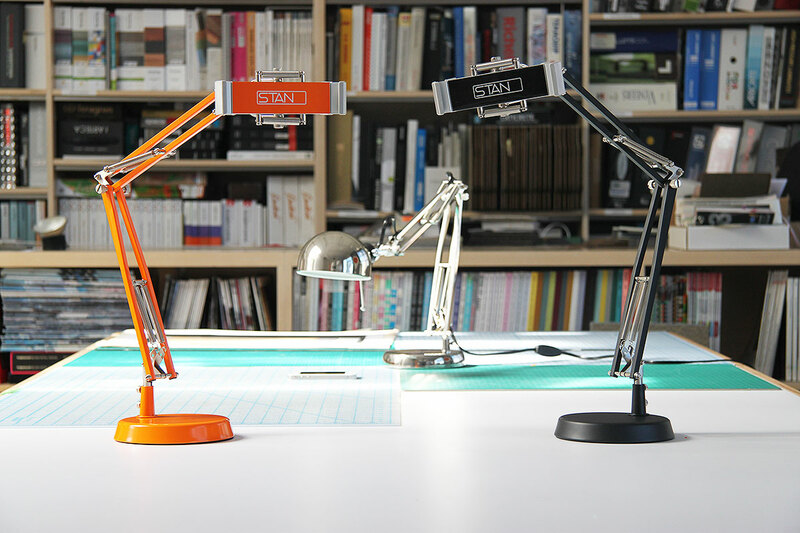 STAN is a registered trademark of THE DESIGN INDUSTRY INC.